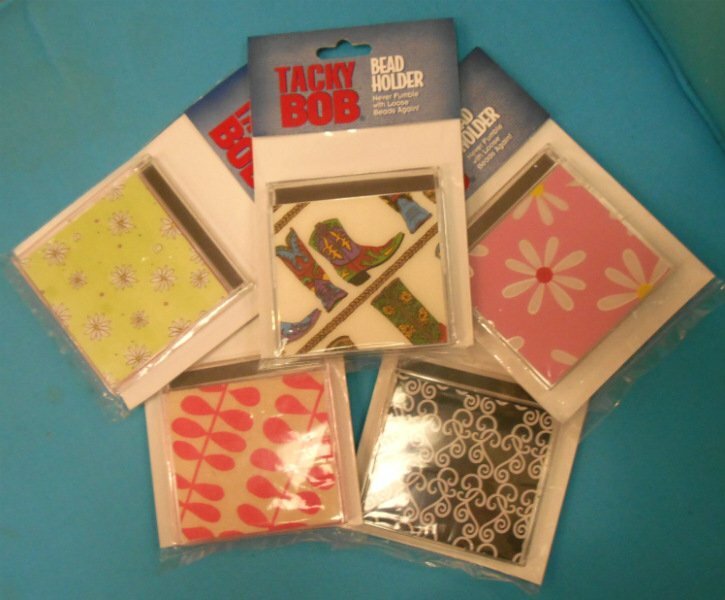 Never fumble for beads again with your Tacky Bob Bead Holder. Let us pick a design for you - designs in stock vary daily. This 4" by 4" plastic case (reminiscent of a CD case) has a sticky interior. Pour your beads onto the sticky trays for easy access while beading, close the case when you are done for the moment so you don't spill beads everywhere.